Courtyard at james is a beautiful low-income apartment community nestled in the heart of the city of syracuse, offering one and two-bedroom apartments! 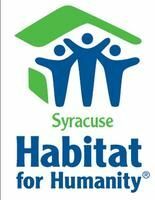 Apartment Costs (user reports): Syracuse Habitat for Humanity's program does not include apartments. Utilities Included: (user reports): They are not paying rent. They are paying a mortgage. Utilities are paid exactly how any other homeowner would pay for them. Development of affordable housing and community revitalization efforts. Brick school terrace is a senior low income housing apartment subsidized by the federal governments hud (housing and urban development division). Contact brick school terrace for complete details on the current vacancies and housing applications. Kennedy square is a family low income housing apartment subsidized by the federal governments hud (housing and urban development division). Contact kennedy square for complete details on the current vacancies and housing applications. Brighton towers is a low income housing apartment subsidized by the federal governments hud (housing and urban development division). Contact brighton towers for complete details on the current vacancies and housing applications. Ashley arms is a low income housing apartment subsidized by the federal governments hud (housing and urban development division). Contact ashley arms for complete details on the current vacancies and housing applications. Moses dewitt is a health care low income housing apartment subsidized by the federal governments hud (housing and urban development division). Contact moses dewitt for complete details on the current vacancies and housing applications. Bernadine apartments is a low income housing apartment subsidized by the federal governments hud (housing and urban development division). Contact bernadine apartments for complete details on the current vacancies and housing applications. Harrison house is a family low income housing apartment subsidized by the federal governments hud (housing and urban development division). Contact harrison house for complete details on the current vacancies and housing applications. Pompei apartments is a senior low income housing apartment subsidized by the federal governments hud (housing and urban development division). Contact pompei apartments for complete details on the current vacancies and housing applications. 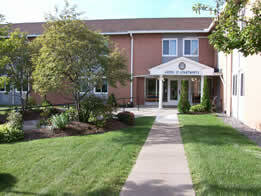 Onondaga apartments is a senior low income housing apartment subsidized by the federal governments hud (housing and urban development division). Contact onondaga apartments for complete details on the current vacancies and housing applications. Eljay apartments is a family low income housing apartment subsidized by the federal governments hud (housing and urban development division). Contact eljay apartments for complete details on the current vacancies and housing applications. Parkside commons is a family low income housing apartment subsidized by the federal governments hud (housing and urban development division). Contact parkside commons for complete details on the current vacancies and housing applications. Mccarthy manor is a senior low income housing apartment subsidized by the federal governments hud (housing and urban development division). Contact mccarthy manor for complete details on the current vacancies and housing applications. 314 hudson street is a disabled low income housing apartment subsidized by the federal governments hud (housing and urban development division). contact 314 hudson street for complete details on the current vacancies and housing applications.